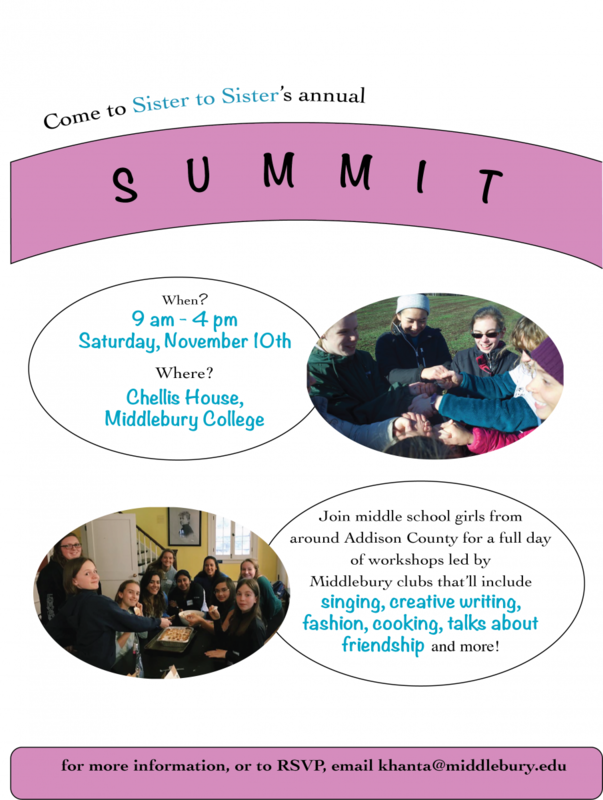 Sister-to-Sister Summit on November 10! All events are free. Sister-to-Sister provides breakfast, lunch, and snacks. Please let us know of any food allergies. To register, please call Karin Hanta at 443-5937 or email khanta@middlebury.edu.